Specifically bred as a street tree, having a strong central leader and a sturdy, upright-oval habit. 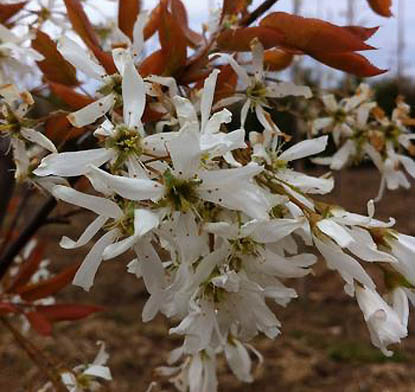 Fleecy white flowers cover the tree in spring followed by green leaves and red to purple fruit which attract birds. Fall color is orange. IMPROVED NATIVE.